My work as director of St. Joseph County Parks gives me an opportunity to interact not only with nature, but with other people who appreciate and care for the environment. It's a great pleasure to share their stories through the Outdoor Elements partnership with WNIT Public Television. If you've watched the show, you know I close every show with the message: Remember, you can find your own Outdoor Elements when you visit area parks and nature centers. That is my most important word of advice. As our society becomes more reliant on technology, we are losing our connections to nature. When I was a kid, I made a beeline for the field behind our house after school. I played for hours in the weeds and wildflowers. Today, children rarely have those experiences; yet, studies show that children who play outdoors grow up to be healthier adults. And adults who are ill feel better when exposed even to views of the outdoors. So after watching Outdoor Elements, turn off the TV, and "Go Take a Hike." 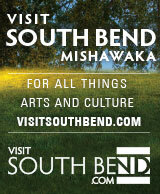 There's lots of nature to enjoy and explore in Michiana! And if you find something interesting, or have a nature story to share, send me an email. I'd love to hear from you! Celebrating 40 Years of Outdoor Family Fun! 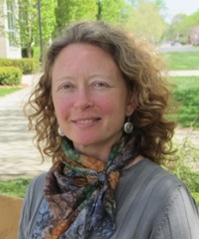 Krista Bailey is the Director of the Center for a Sustainable Future at Indiana University South Bend. Previously, she worked with the City of South Bend as the first Sustainability Coordinator in the Office of Sustainability. In both roles, she has collaborated on sustainability issues, provided education and outreach on sustainability and related initiatives, developed strategic sustainability plans, and coordinated project development. Krista's skills in sustainability research, writing, training, project development and implementation, event planning, website and social media outreach, and creating and evaluating educational projects help her to learn about and interview a wide range of sustainability practitioners across Michiana. In addition to her sustainability work in South Bend, she has worked in the areas of community development and environmental education, including as Director of the Elkhart EnviroCorps AmeriCorps program in Elkhart, Indiana, which developed and implemented scores of environmental education, restoration, and volunteer projects. When not at work, Krista is busy being a proud parent, supportive partner, leader of the Greenhouse Community Garden, a fitness instructor, and is an active biker, hiker, and kayaker. Rick began his outdoor experience very early in life crawling around the yard as his parents worked in the garden and flowerbeds. With age came camping and by age 7 they had moved out to the country and he had 2 square miles to explore and spent most of his time doing just that, exploring and learning in the Great Outdoors. Rick graduated from Purdue with a degree in Wildlife Biology and it was then that he began to really understand how important is to get involved and teach others about this great environmental heritage we have and how important it is to save it. 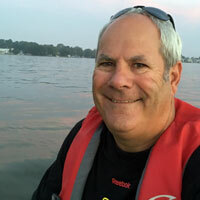 Rick recently retired after 27 years with the St. Joseph County SWCD, as their Environmental Education Coordinator and it is his pleasure to be able to continue to teach others about our environment and what they can do to make sure we never lose our Great Outdoors.